This English Garden 70 in. W x 15 in. D x 15 in. 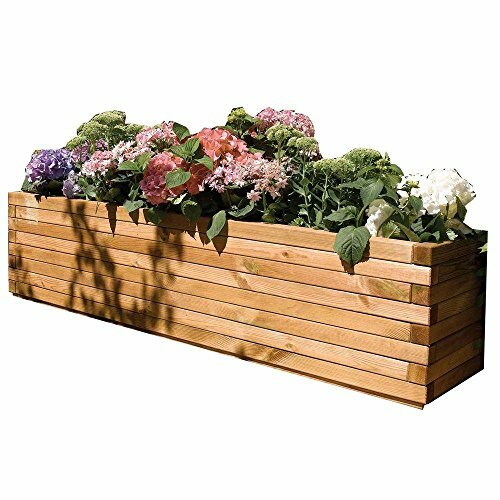 H Over Sized Rectangular Wood Planter will make an impressive addition to your garden, patio, balcony or deck. Solidly built with a natural timber finish, this planter can be painted or stained if desired. Manufactured from quality FSC softwood that is pressure treated for long life and to protect against rot. Made by Bosmere Garden Products, an English family business that has been trading in timber since 1926. With over 85 years of manufacturing knowledge and experience, you can be confident that our products are constructed to the highest standard and from the finest materials available.